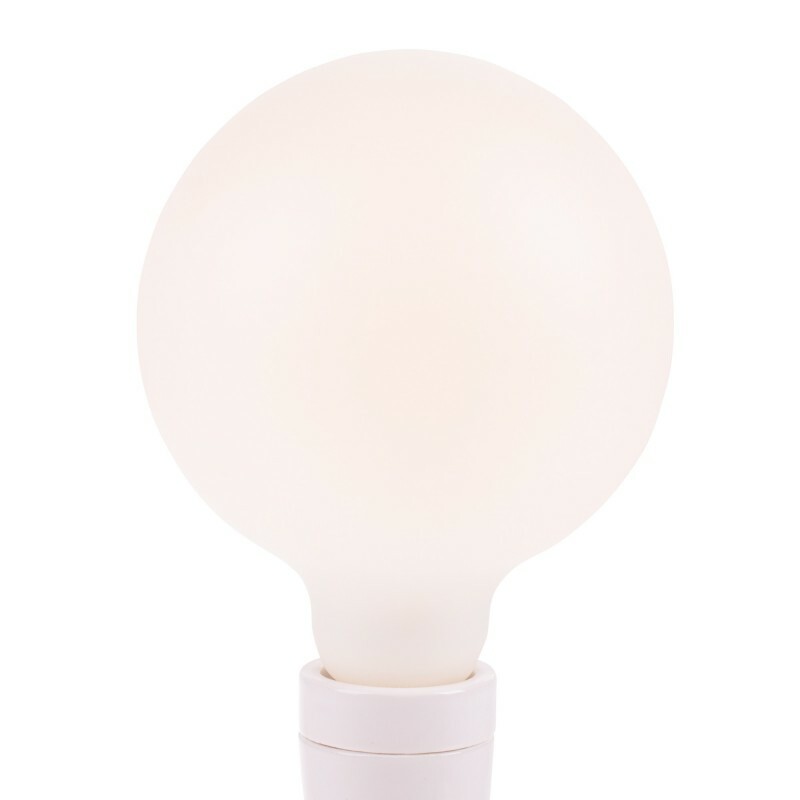 New in our range of bulbs: The pretty 125mm globe bulb, wrapped in a white satin jacket and equipped with the LED technology of today. The lamp is fully dimmable. 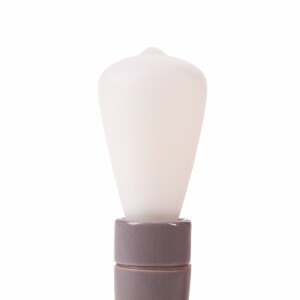 Since the glass is ''double frosted" - in other words: processed in such a way that it looks like porcelain - it transforms the light into an ultra-soft glow. 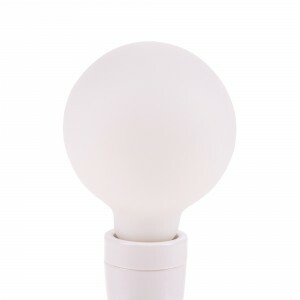 This LED globe has a light output of 350 lumens and processes an extra warm white light (2500K). 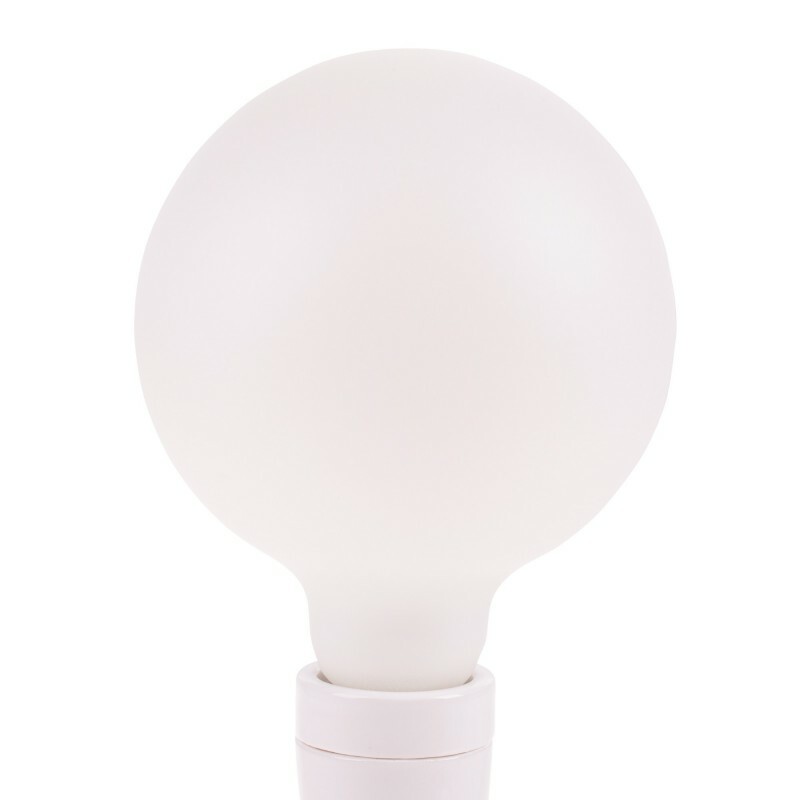 Furthermore, the lamp provides an accurate color rendering (CRI 90). 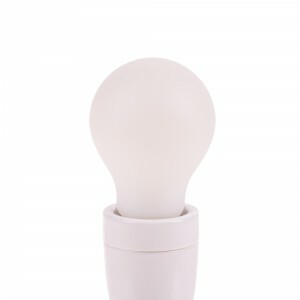 Be surprised by the beauty of satin and discover the complete Snoerboer LED Family.